SEO stands for search engine optimization and it is a collection of processes that serve the purpose of optimizing websites for increased online visibility. It is important for boosted quality traffic, improved branding, and increased credibility. SEO processes help websites speak to these engines in an understandable language. This provides them more details about the pages’ contents thereby providing them with valid reasons to be granted a significant ranking. Since we are results driven, we use tools to track your websites progress and send you weekly or monthly reports demonstrating website improvements. We also use tools like Ahrefs, Google Analytics and Webmaster Tools, which are additional indicators for your websites health. 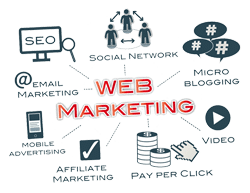 We have been providing SEO and Web Design for 6 years and we stay current on the latest changes and best practices to help promote your website. You get our expertise at an affordable price to handle your online marketing. There are different processes that go into an effective search engine optimization strategy, one of which is off-page SEO. This refers to external processes and techniques applied outside of a website. These are done to boost a page’s search engine ranking. Although plenty of people associate it with link building, the latter is only one the many processes that comprises an off-page SEO strategy. Why is offpage Optimization Important for Your Website? The primary objective of search engines is to provide highly-relevant search results to their users. With the help of off-page SEO components, search engines are able to see how users perceive the particular websites that they are indexing. We provide reliable off-page SEO strategies that help increase your site’s rankings across SERPs (Search Engine Results Pages). This is the most popular off-page SEO process and the one that is constantly attributed to the concept. We will build a series of external links directing back to your website. The goal is simple and that is to gather as much attention for your brand as possible. We not only reverse engineer your competitors, but also find new opportunities to help your website/brand stand out. Links to your website’s content will be distributed across different platforms including, but not limited to, blog directories, article directories, forum signatures, shared content directories, and link exchange arrangements. 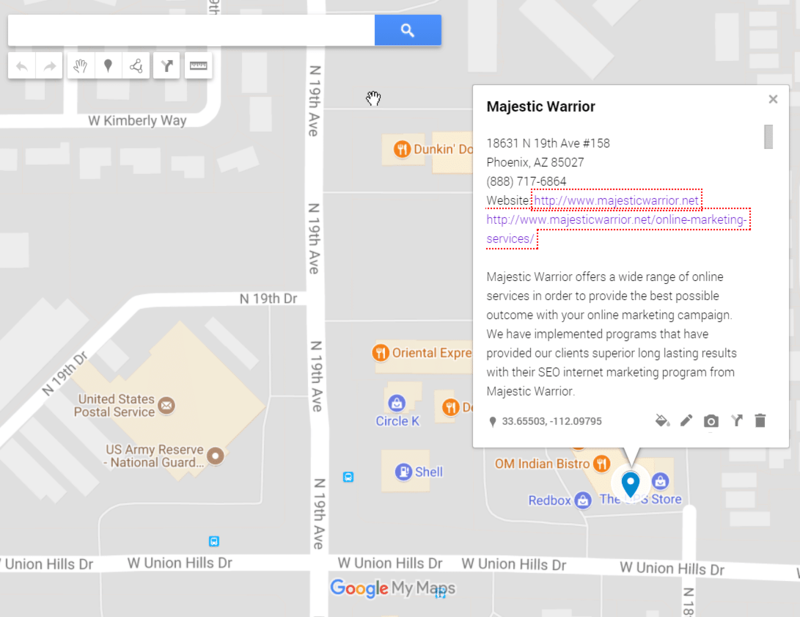 Majestic Warrior considers social media sharing as another form of link building with the difference being that the links obtained from social media websites carry a no-follow component and are what your customers are saying about your business online. These days, almost everyone has an active social media account or two. More people also use their mobile devices more than desktop computers. Combine this increased mobile access with the rapid growth of social media networks and you have SEO gold. 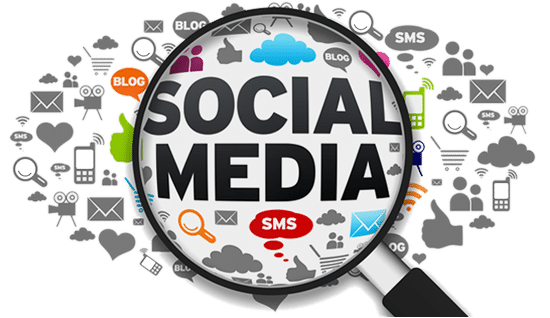 We want you to capitalize on niche marketing as well and this is why social bookmarking cannot be excluded from our list of off-page SEO processes. There are niche-specific websites that can help promote your content and we intend to use these to your advantage. We only use high quality social bookmarks directly to the website and is more used for your branded network. Guest posting is a great way to get valid links back to your page provided that it is not overdone. Not only can you accept content contributions to your page, but you can also generate content for other relevant websites to get your name out there. We can find some high quality niche relevant websites that we can contact to post a well written article on their website. With years of experience under our belt, we can help you optimize your website and ensure that it generates the kind of attention you desire. We value conversion-friendliness and therefore help build brands by utilizing a wide array of off-page optimization techniques specific to each client’s needs. We provide off page optimization services to new websites and to existing websites. With existing websites depending on the platform used we may have to make some tweaks to your current website in order to provide the best possible outcome. SEO Phoenix – Increase Your Online Exposure and Get Found Today! Does Your Current Website Need to Be Optimized? Are You Looking For a Local SEO Company? We Provide Content Marketing Services That Are Effective!